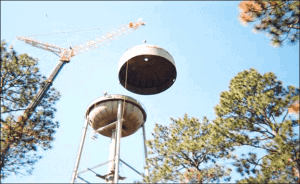 Water towers store the water as a backup in catastrophic situations. One can even reserve a huge amount of water inside the tower. After you are done with all the construction work by the famous and trusted cooling tower services in your area, it’s time to maintain it. The durability depends more on the maintenance than the quality of construction. Even if the quality of water tank is high, ignorance towards its condition can result in various issues. So without a further ado, let’s get to know how should you maintain your cooling tower. Air is the biggest factor that keeps the water cool. The poor condition of fans can break down the entire system. The loose components and inappropriate fan placement cause the interruption in airflow. Moreover, the poor gearbox maintenance can cause the air to flow in an erroneous manner. Besides, the damaged fan wings could be the reason for it. It’s preferable to check the unit so that you can clean the debris (if there is any). A tower vacuum will also help you to clean it completely. However, the buildups could be there on the bottom as well. As it’s not possible to reach the bottom of the tower, you can add biocide to get rid of the buildups. Biocide controls the growth of bacteria and other germs in the water. This ensures that you get pure and disinfected water. So make sure that the airflow in the cooling tower is perfect. Poor water quality is the root of various diseases. Hence, treating water after a specific time is as vital as keeping the entire HVAC (Heating, Ventilation, and Air Conditioning) system in the right condition. The better water quality avoids buildups and scum. Avoiding the condition of water can cause the entire system to collapse. Investing in the periodic water treatments can keep it safe and consumable. You can even hire the experts for the help as well. A pump keeps the water cooler even in the hottest weather. To decrease the energy expenditure on the water tower, it’s vital that the pump performs to its best. Whether you have hired the personal or industrial cooling towers manufacturers, ensuring that the pump is working well boost the durability of the system. Lubricating the pump time to time is helpful to keep is tuned. As you know, particles like mud, scum, slim, or scale can clog the tube partially or completely. It can result in unit-inefficiency and crash the entire system. Proper cleaning of the tube will keep the buildups away from the water tower and provide you the freshest water even after a month. For better cleaning, you can hire the eminent water cooling towers manufacturers too. 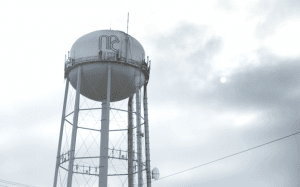 The entire water tower system works on the evaporation process. Therefore, some build-ups are natural to be there inside that water and the tank. The limescale builds up slow down the performance of the entire system. Therefore, it’s important to rescale the system regularly. 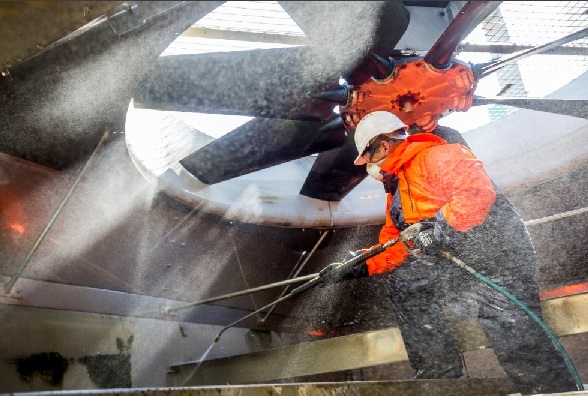 Keeping the water tower clean and managed is the only way to get the most out of it. If you don’t own a tower yet, get in touch with the famous organization for cooling tower services right now.